Free curriculum from a non-profit will help educate middle schoolers in the appropriate use of content online. The Internet Keep Safe Coalition (iKeepSafe) recently released a four-lesson program to use with students in grades 6-9 to help them learn how to "create, collaborate and share responsibly in the 21st century." The organization, which focuses on the use of digital products and their impact on children, already offers curriculum for use in elementary and high schools. 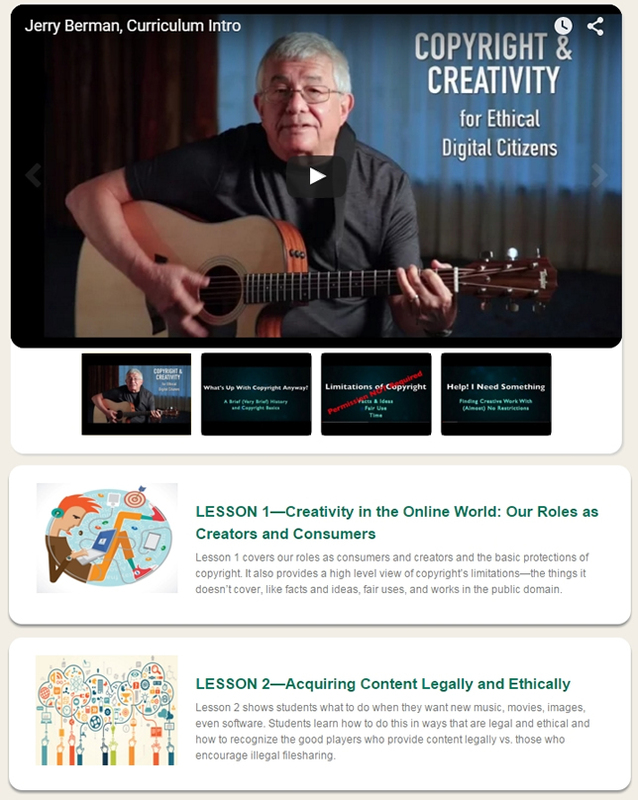 The new curriculum includes lessons with videos that focus on students' roles as creators and consumers online, as well as the role and importance of copyright. The lessons also include tips on how to acquire online media legally and ethically; how to share it with others; and how to create new content using others' work. One educator who has reviewed the material said she's "excited about having these practical, useful tools to teach a complex topic." According to Diana Graber, who teaches digital literacy at Journey School in California, "Someone has [finally] made copyright, fair use and Creative Commons understandable for young people." Input on the lessons was provided by multiple experts in the topic, including Dana Greenspan, educational technology specialist of Ventura County Office of Education; Annemarie Bridy, technology law and intellectual property scholar at Stanford University Center for Internet and Society; and Jerry Berman from the Internet Education Foundation. "We are all both consumers and creators of content on the internet, and therefore it is critical to understand the rules that govern the intersection of technology and free expression," said Berman in a prepared statement. "This curriculum walks you through what copyright protects, and what it doesn't protect. It also takes a balanced approach to teaching fair use and the other limitations of copyright, so students understand their rights as digital citizens." The curriculum for every grade level is available for download with registration on the iKeepSafe Web site.